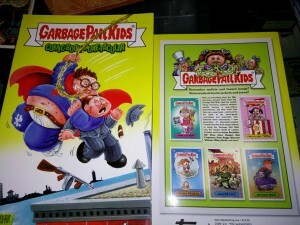 Announced a few months back IDW has launched the Garbage Pail Kids Comic Trade Paperback. This book, with a suggested retail price of $19.99, places all the GPK comics that IDW released last year during the 30 anniversary. 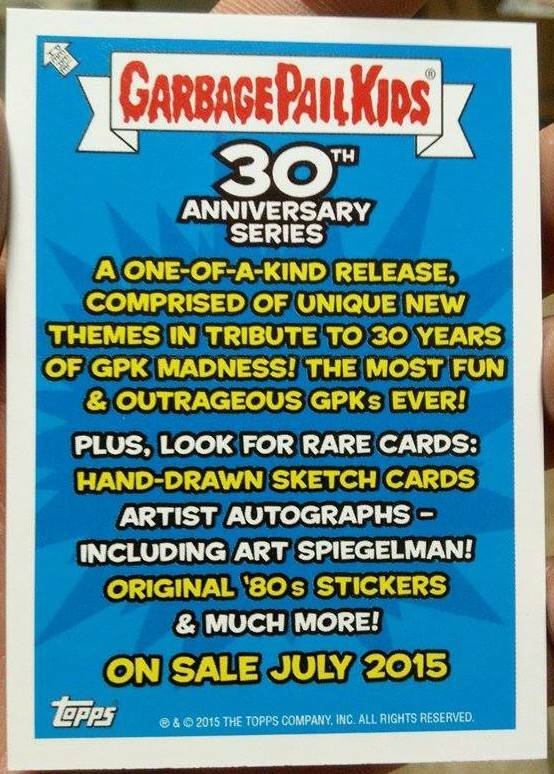 Throughout 2015 IDW released 5 different GPK comics written and drawn by GPK artist and popular Comic book artists. If you missed out you can now get them all in one book. No promo cards or alternate covers this time around. Just some good of fashion comic reading! Thanks to Kevin Johnson at Gotham City Comics for the picture. You can purchase the book online or at your local comic store. 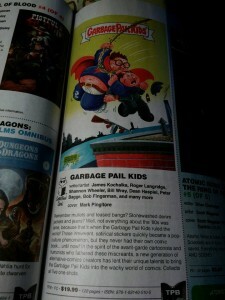 IDW announced this week the Garbage Pail Kids Trade Paperback. 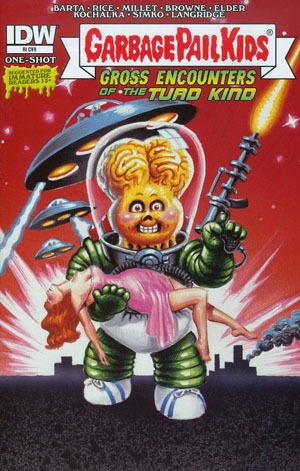 This book will combine all five of the one-shot comics released earlier this year into one book. 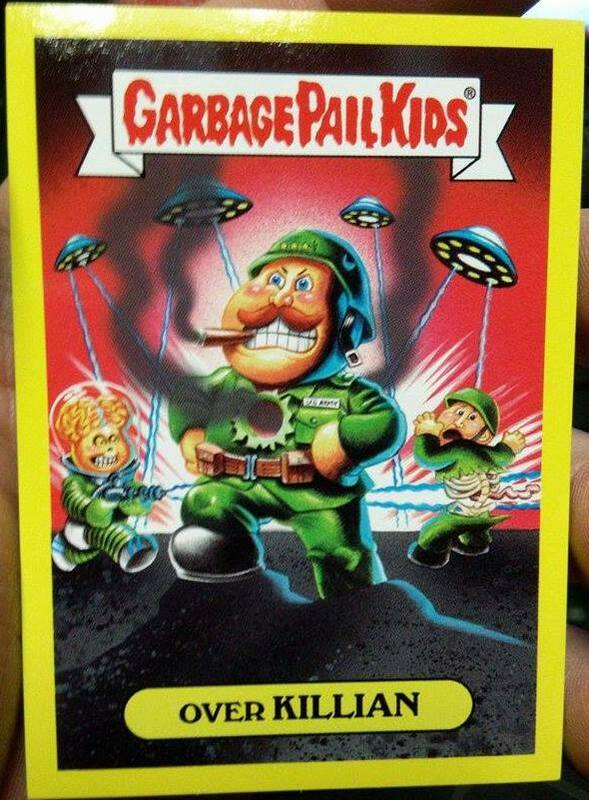 No promo cards or variants announced for this one. Just all the comic in one. Pre-orders are available from most comic places, expect to pay right around $20 to pick this one up. The book ships in January 2016. 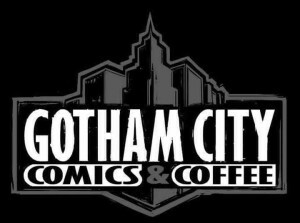 Thanks to Kevin Johnson at Gotham City Comics for the picture. 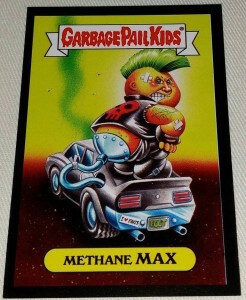 The Black border Methane Max has finally surfaced. 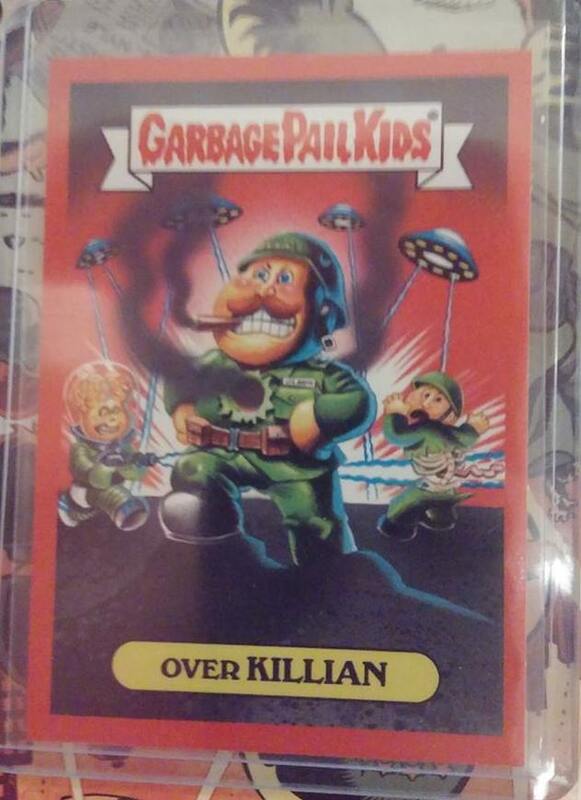 GPK collector Stephen Emery pulled a black border from his comic order from all the way in the U.K.! Now that all the parallels have been found, happy hunting everyone! Almost a week after the release of the newest comic, Garbage Pail Kids Go Hollywood, colored parallels of the promo card finally have started to surface. 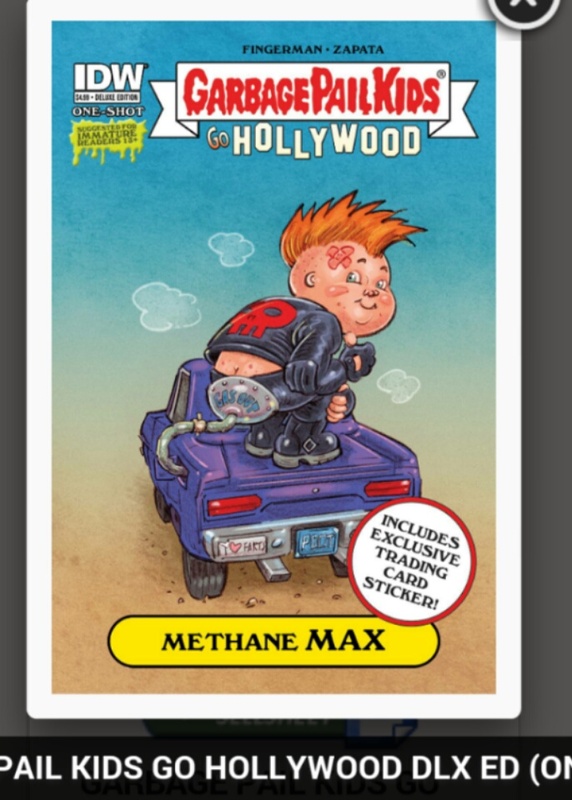 Collectors busting the comic in the first week had pulled nothing but the base version of the Methane Max card found in the Deluxe version of the comic. 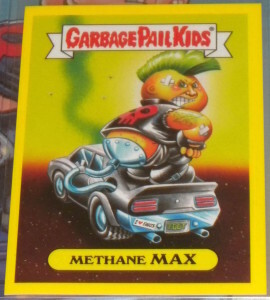 However GPK collector Jeremiah Schauls broke that streak last night. Jeremiah purchased 8 of the Deluxe version from his local comic store and hit the jackpot. He pulled 7 yellow versions along with the very rare red version. IDW’s lackluster distribution of the comics has continued since the first comic. IDW won’t shuffle the comics as they are distributed, therefore the same store will end up with batches of the same colored parallel, while all other stores get base versions. While there has been no confirmation yet from IDW in previous releases there were 10 copies of the red version and 100 copies of the yellow version of the card produced. In keeping with the previous comic released the reds/yellows are not numbered on the back. As of this update a Black version of the card has yet to surface. This article will be updated when a black surfaces. 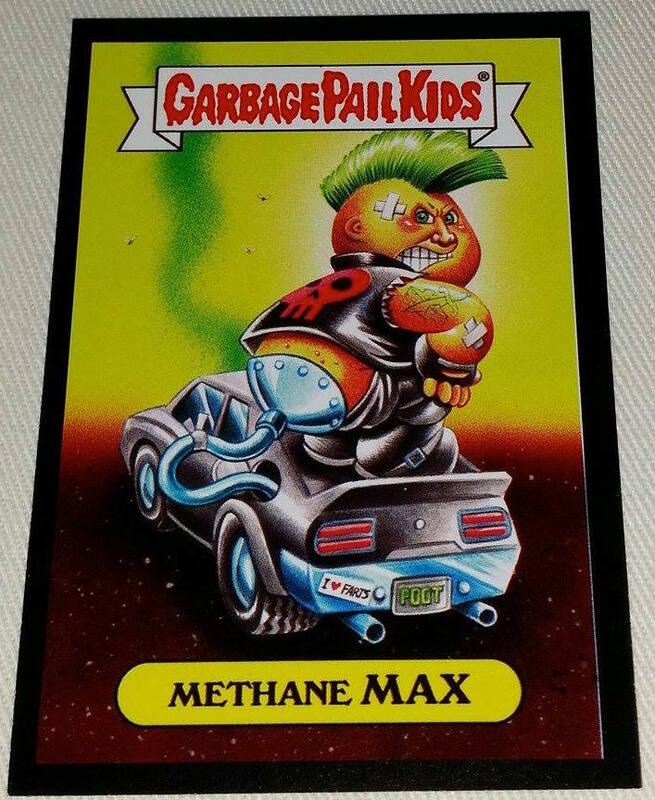 Thanks to Kevin Johnson over at Gotham City Comics we now have the first images of the promo card found in the Deluxe version of the Garbage Pail Kids Go Hollywood Comic #5. Last week the regular, variant, and blank cover versions of the comic were released. We had to wait a week for the Deluxe version to arrive in stores. 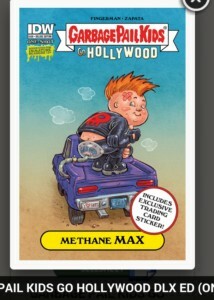 See below for the regular version of the Methane Max card. This post will be updated once others color versions are found. 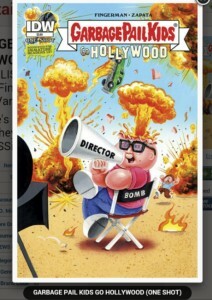 Garbage Pail Kids Go Hollywood, or at least they do in IDW’s 5th One Shot Comic, releasing officially Wed. Aug. 12. 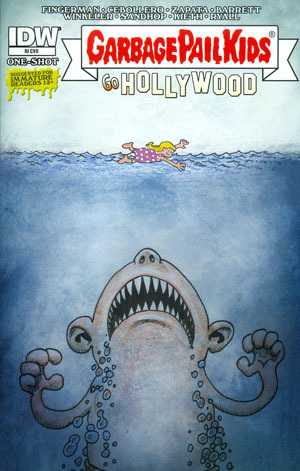 As with previous versions of the comic there are 4 covers to choose from. You can find the regular version, the deluxe version containing a promo GPK card, a rarer variant cover, and finally a blank cover that can be used to sketch your own. 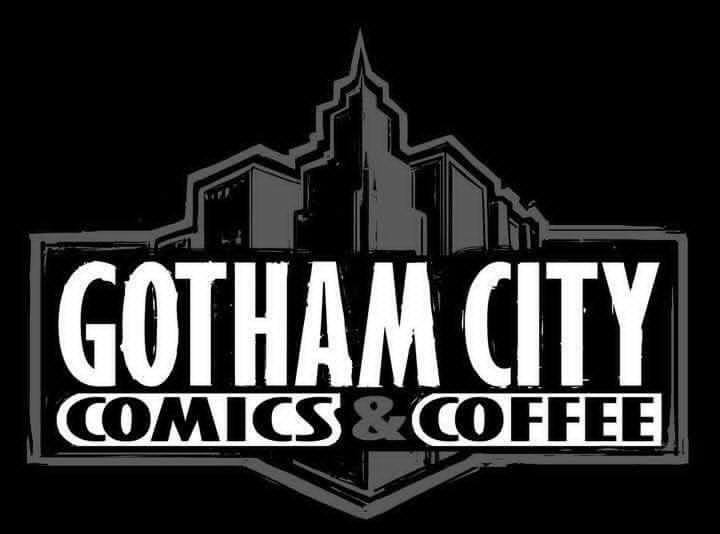 Thanks to Kevin Johnson over at Gothem City Comics we learned today that the Deluxe version w/ card has been delayed one week. We will have to wait a little longer to see the various colored parallels of the promo card and if they will be numbered this time around. 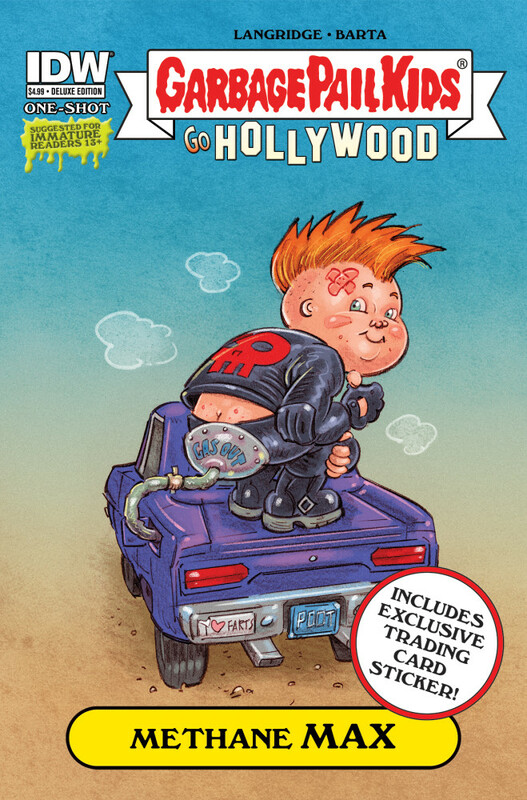 Also of note this appears to be the final Garbage Pail Kids Comic LDW will be producing. 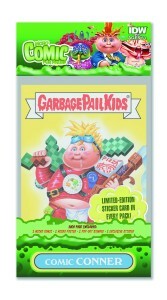 As we’ve covered here previously IDW was set to release the GPK Micro Fun Packs, containing mini versions of the GPK comics, special promo cards, and other goodies. Originally the Fun Packs were set to release in April 2015, pushed back to June of 2015, then pushed back again to October 2015. Just a couple of weeks ago IDW decided to cancel the project all together. Word on the street has it there were not enough pre-orders from distributors to continue with the project. 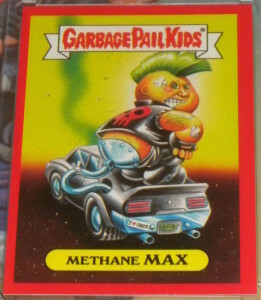 One thing to note for rare GPK collectors. There are uncut sheets of the promo cards out in the wild. A Topps rep gifted a few of these to various folks over the last few weeks. 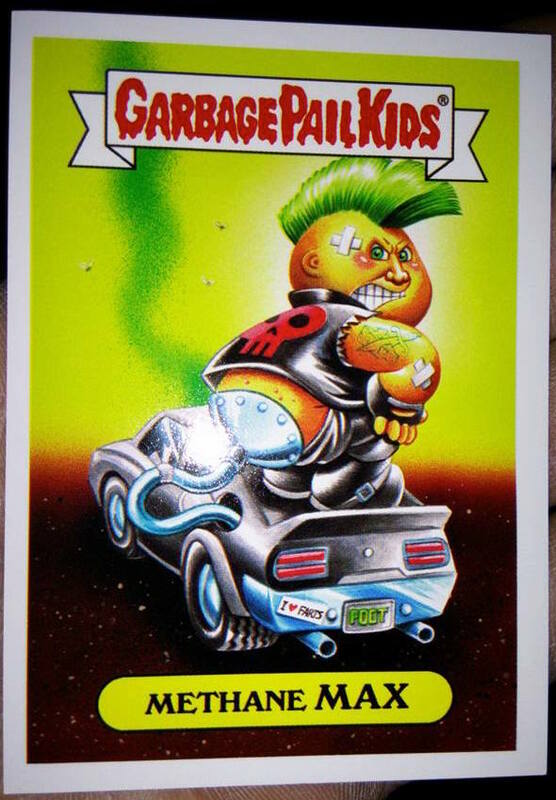 So you might come across one of these rare sheets. With the release of IDW’s 4th one shot Garbage Pail Kids comic comes the continued practice of including a special promo card in the Deluxe Version of the comic. 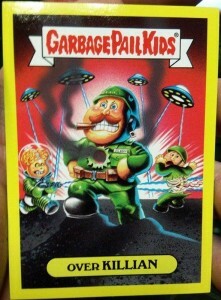 As with every release so far we now have some confirmation that different color border parallels exists in the comics. 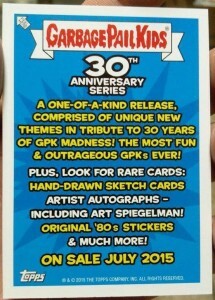 Thanks to Kevin Johnson over at Gotham City Comics we got our first look at the cards. In a small sample size Kevin opened 6 of the Deluxe versions of the comic. He pulled 3 white borders, and 3 yellow borders. Given the small sample size its not possible to determine the rarity of the different versions. There is a huge change to the yellow border version of the card. 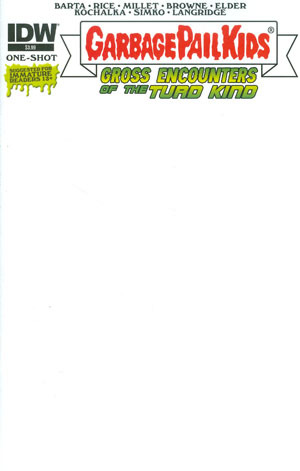 In the previous two comic releases the yellow border card was numbered on the back /100. This time around the card is not numbered. Does this mean there are more than 100 yellows? 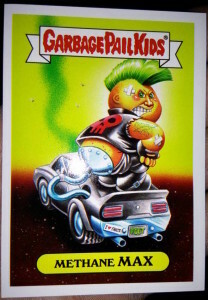 Or is the card limited but just not numbered? Once more people start busting open the comics it should become clear how rare yellow is this time around. Another change is to the cards backs. 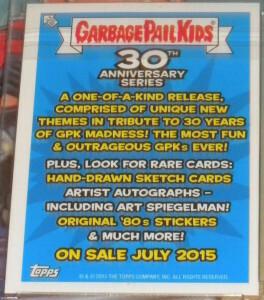 This time the 30th anniversary card set is being advertised. However, the card no longer contains a card number like previous releases. See below for pictures of the card front and back curtiosy of Kevin Johnson. As more versions of the card and info about rarity comes about this article will be updated. 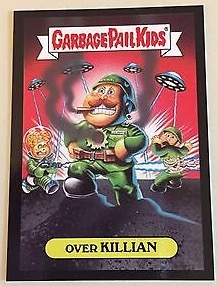 As with previous releases the Black Border promo card has surfaced on eBay. So far there is white, black, and yellow borders available. White continues to look like the most common as many are posted to eBay and on Facebook. 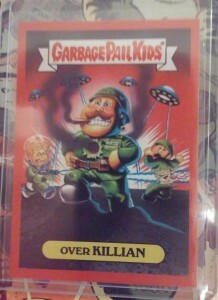 GPK collector DJ Spencer did the seemly impossible and pulled the Red Border version of Over Killian this evening. Just like the yellow borders the card is not numbered on the back. It is believed there are 10 copies of the red border. It does exist! IDW is set to release the 4th One Shot Garbage Pail Kids Comic on 6/24/15. The title of the comic is Gross Encounters of the Turd Kind. 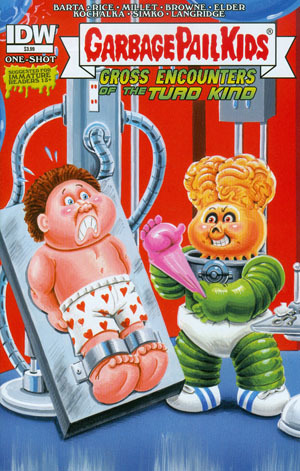 As with previous GPK comics there are multiple versions of the comic. You should be able to find the new comic available at your local comic store or online. GPK Collector Mikee Friesen heard from his distributor that the upcoming IDW Garbage Pail Kids Micro Fun Packs has been delayed yet again. Originally these were to be released last April. 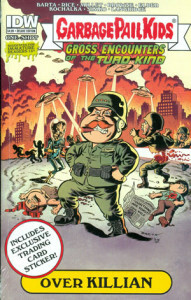 Just prior to release IDW pushed back until June. Now that we are two weeks away from the 2nd release date these have been delayed again until October, 2015. The Micro Fun Packs are set to contain mini versions of previous GPK comics, a Poster, Pop-up Standee, and an exclusive GPK card. No reason as of yet for the newest delay. When these were delayed the first time word on the street was these had not been widely ordered and IDW wanted to give more time to see if they could sell more. Are these being delayed to give more time for additional sales? Maybe more content will be added? Or is IDW going to cancel this release entirely. Will be interesting to see how this plays out. This coming from Kevin Johnson over at Gotham City Comics. 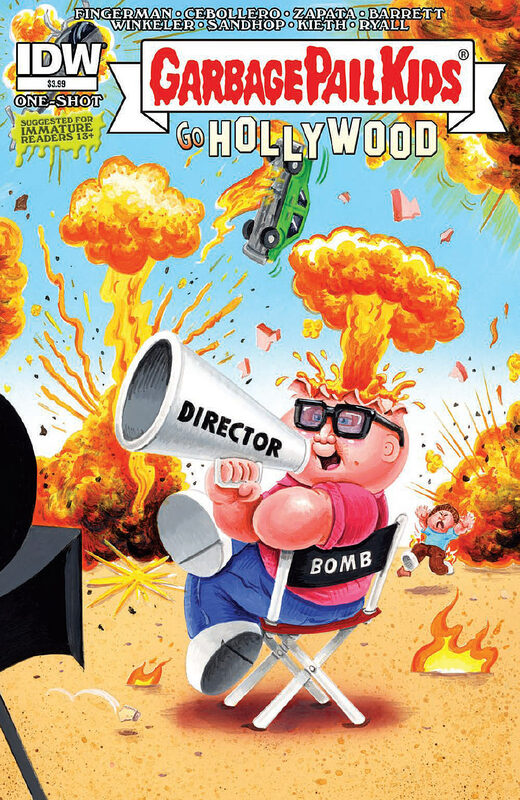 IDW began pre-sales today for the 5th GPK Comic, Garbage Pail Kids Go Hollywood. Like previous releases there will be different cover variants. The regular, deluxe, blank cover, and the more rare variant. 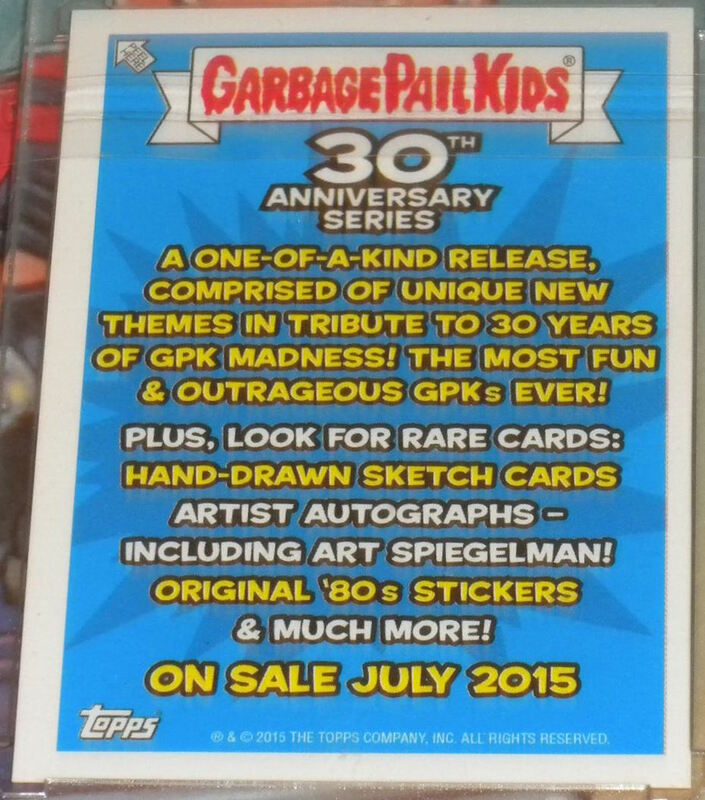 The deluxe comic will once again contain a promo card. No word yet what parallels will be available of the card. The comic is set to released in late Aug. of this year.